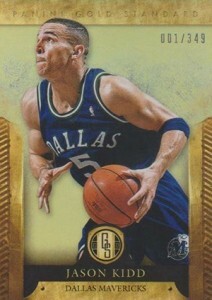 Just like most modern athletes, NBA superstars are often on the move. 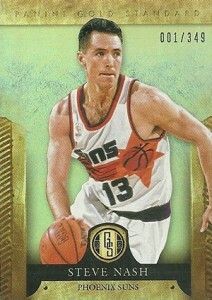 2012-13 Panini Gold Standard Basketball variations chart some of these moves by picturing a handful of players in the many uniforms they've worn during their careers. 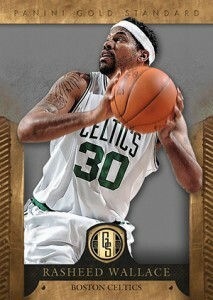 Including base cards, featured players have anywhere from three to six different cards. 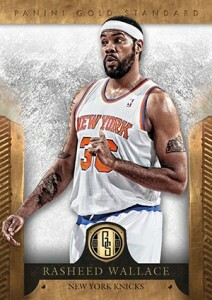 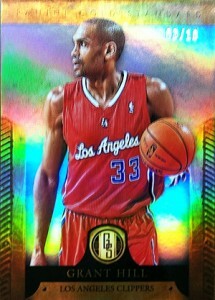 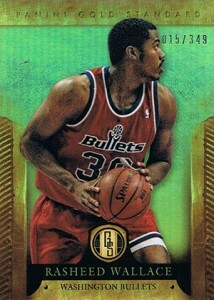 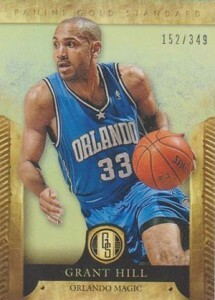 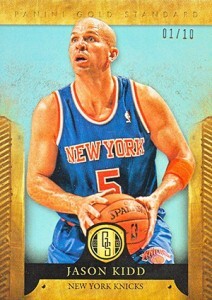 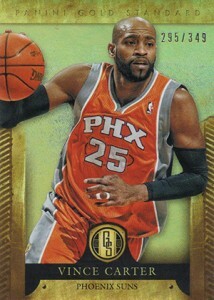 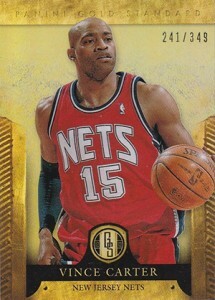 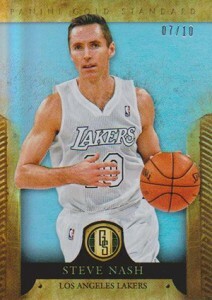 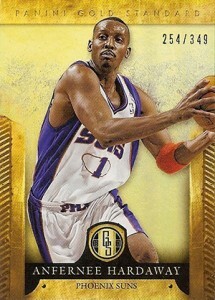 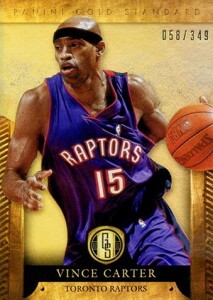 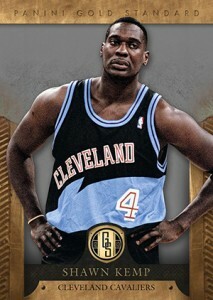 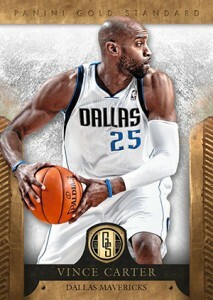 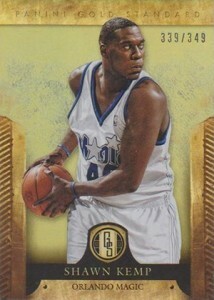 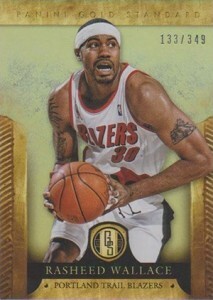 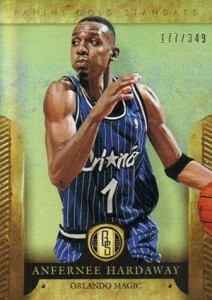 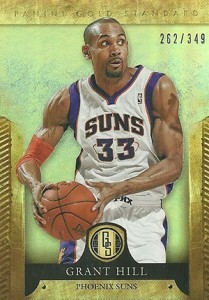 Like the base cards, 2012-13 Panini Gold Standard Basketball variations are numbered to 349. 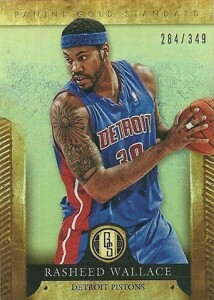 They're not short prints. 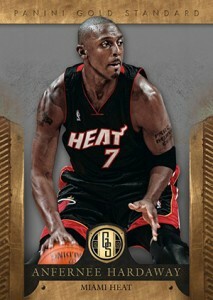 For some collectors, any one of the cards might make them content when it comes to completing a set. 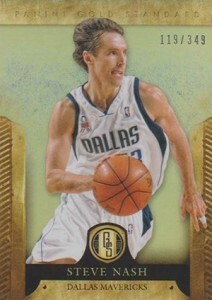 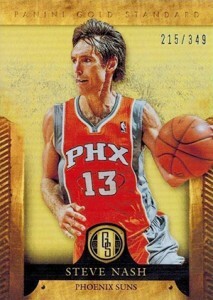 Completists will need to be especially mindful of Steve Nash. 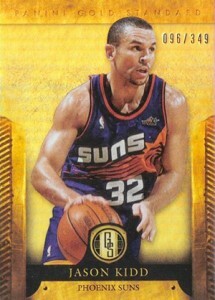 He has two different cards of him with the Phoenix Suns to go with his two tours with the team. 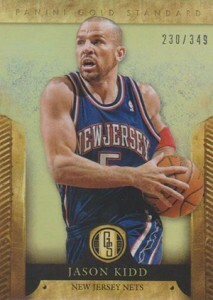 Other players on the checklist include Grant Hill, Anfernee Hardaway, Jason Kidd, Rasheed Wallace, Vince Carter and Shawn Kemp. 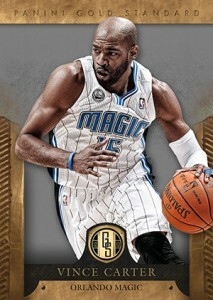 The guide below outlines the various players on the 2012-13 Panini Gold Standard Basketball variations checklist as well as the teams collectors can look for. 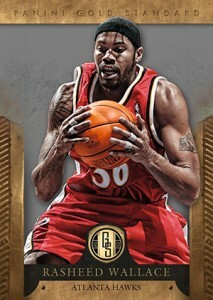 Wherever possible, we've also included an image. 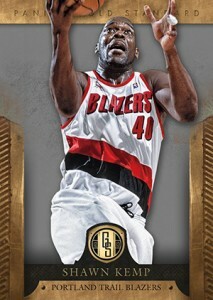 Please note, for a couple of the base cards, we've included pictures of the Platinum parallels when regular versions weren't available to show what the player image looks like. 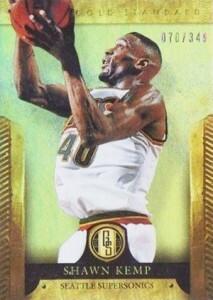 Also, some are images provided by Panini that do not have serial numbers. 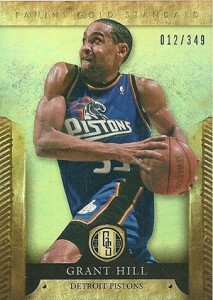 Click on the player's name to shop for singles on eBay. 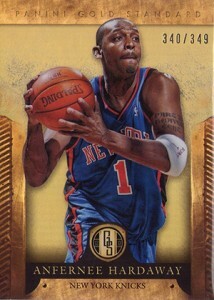 2012-13 Gold Standard Factory Sealed Basketball Hobby Box Kyrie Irving RC?